Greenhouses are versatile. You can use them to grow orchids, specialty plants, veggies, fruits, or you can build a conservatory and use it to eat your dinner in. 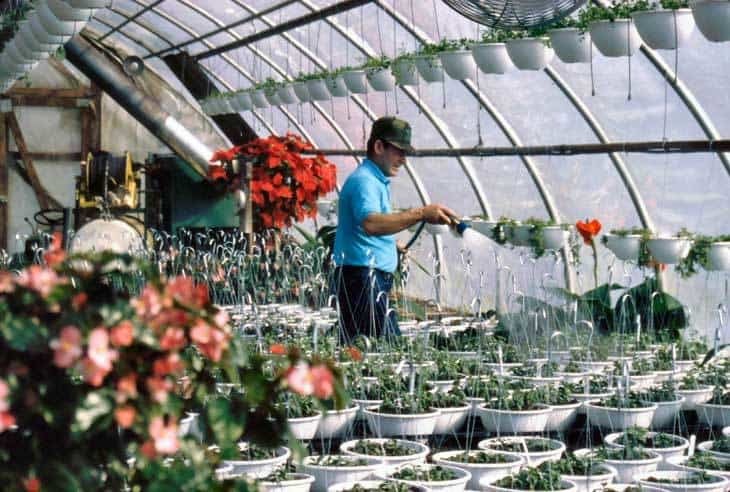 Greenhouses can be used for hydroponic growing (raising plants in a special soil-less medium—a solution of water with various nutrients) or for providing added protection and heat to plants grown directly in the ground. So it’s best to figure out what you want to use a greenhouse for before rushing into buying or building one. Tropical greenhouses are the most expensive to heat, particularly in a northern climate during the winter. To heat your greenhouse to a level required by tropical plants, try installing double- or triple-pane glass or polycarbonate (there will be a slight loss of light caused by the additional glazing). There are some issues when moving plants from a greenhouse with triple glazing outdoors as the level of light is usually 70 to 90 percent higher outdoors, so a plant’s leaves tend to burn if they are placed in direct sunlight after being in a greenhouse for several months. Think about the structure as well: tropical greenhouses can be humid, which can cause the wood used to build it to rot rather quickly. 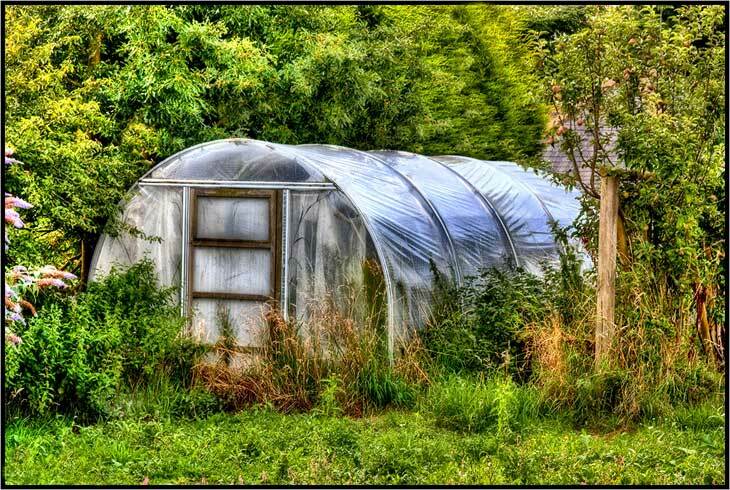 Make sure to construct the greenhouse out of top-quality, rot-resistant materials. Other considerations for tropical greenhouses involve heat: they must be heated to high levels in winter (50 to 65 degrees Fahrenheit at night and 75 to 80 degrees Fahrenheit during the day) and they tend to overheat in the summer, even when shaded by cloth or by trees. A greenhouse that overheats must have large vents or blower fans to move out the moist, hot air quickly or must use an efficient method of shading with an evaporative cooler. Growth stops for most plants when the temperature rises to between 80 to 85 degrees Fahrenheit. Anything above this can be defined as overheating. Certain tropical plants can be grown in a warm greenhouse. Warm greenhouses must be heated at night during the winter. Heaters can be fuelled by propane, natural gas, electricity or wood (note: a wood-burning stove emits dry heat that is not beneficial to plants). Daylight (or artificial daylight) can be enhanced by adding lighting, making the environment both warm and light for growing plants. You can also try implementing automated lighting, water and heating. Orchids have unique light and temperature needs (i.e. they like no more than 20 to 30 degrees temperature change from day to night). Before you specialize in growing orchids in a greenhouse you should know a fair amount about orchid growing so that your greenhouse paraphernalia match these special requirements. Though this summary does not go into depth about growing orchids, certain gardening considerations need to be taken into account. For example, some orchids won’t flower in low light, while others will not flower if the area is too wet or too cold. Some will not flower if the environment is too dry, preferring high humidity, while others thrive in dry conditions. Most orchids struggle to grow in air laden with chemicals like heater exhaust fumes and pesticides. Some require specific night and daytime temperatures at certain times of the year to set flowers. Most orchid growers invest in a greenhouse after they have been growing for several years and have a good concept of what they need for optimum growth. Easy-to-grow orchids are available in most retail stores today, which make a good starting point to growing orchids. Phalanenopsis orchids are native to India, the Philippines, Indonesia and northern Australia so you need to match these conditions within your greenhouse to be successful at growing this species. 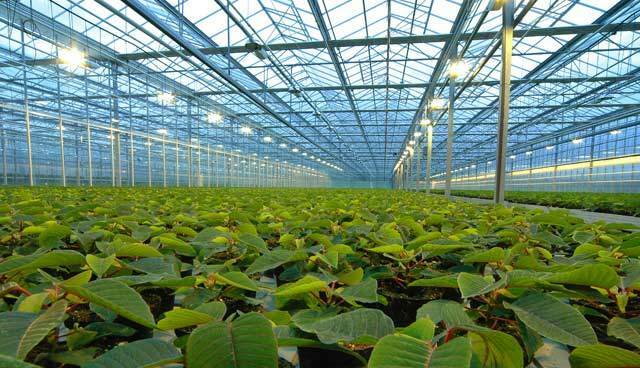 Your greenhouse will require fairly bright light (i.e. 1,000 foot-candles). These lighting requirements will dictate the location and glazing of your greenhouse or necessary modifications to meet the plants’ needs. If your greenhouse is in a location that gets full sun, you will need a shading device, such as a roller shade or shade cloth that you will have to install or remove according to season. Phalaenopsis orchids should be grown at a temperature not exceeding 85 degrees Fahrenheit during the day or below 55 degrees Fahrenheit at night. 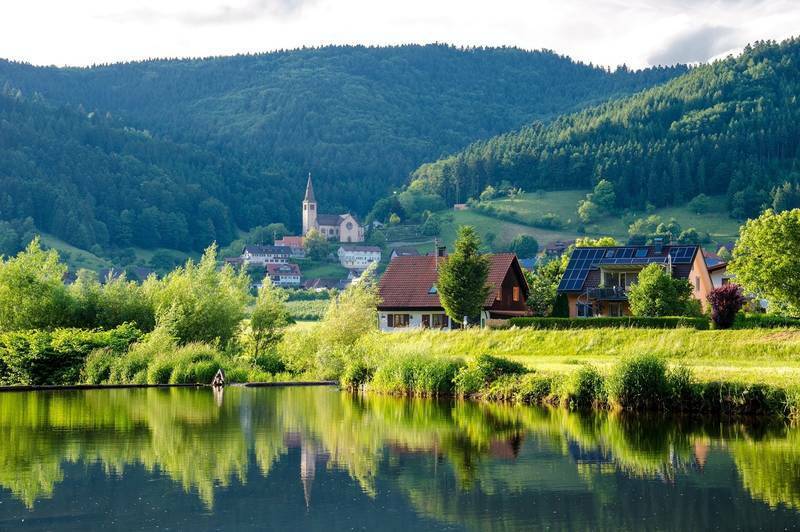 These temperatures are similar to being indoors in front of a brightly lit window during the winter (as long as the window is insulated at night). These orchids will also need some form of humidification system to maintain the conditions they favor. Orchids like Dendrobium and Cynmbidium can handle cooler temperatures, though some Dendrobium thrive best in warmer temperatures and require them at times. Dendrobium also require more light than Phalaenopsis and Cymbidium need more light than both. In fact, Cymbidium should be given as much light as possible without burning them. To cut down on heating costs for orchids that need warm temperatures, try adding a wooden lean-to greenhouse with double- or triple-wall polycarbonate glazing to your home. The lean-to keeps heating costs down because the greenhouse uses the heat from your home. Vegetables can withstand much lower temperatures than orchids. Leafy greens, for example, grow best between 50 and 70 degrees Fahrenheit. A freestanding greenhouse without a heating system will allow you to grow vegetables for most of the year, enabling them to survive for most of the winter in areas up to Zone 5 or 6. 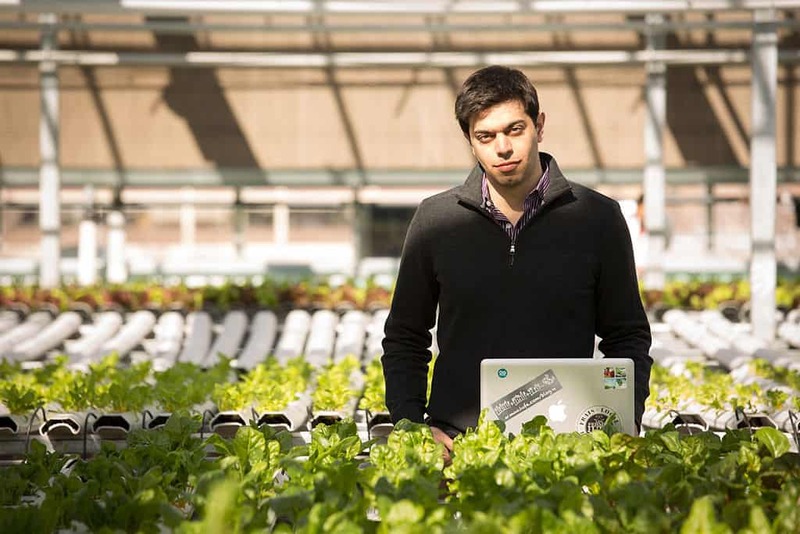 If greenhouse beds are heated, either mechanically or by the creation of hot beds, vegetables can grow year-round in areas that reach temperatures as low as 25 degrees Fahrenheit. If your only option is to add an attached greenhouse to your home, you may or may not decide to heat the structure separately. Unheated vegetable greenhouses are best constructed with a low ceiling as they stay warmer when the ceiling height is only a little taller than the height of the plants. Glazing can be simple: an unheated veggie greenhouse needs less winter light to come through the glazing than does a greenhouse for flowers, and because the greenhouse is not heated, there is no need for double-thickness glazing. Some growers rely on hoop houses or high tunnels with a polyethylene covering to enable them to grow throughout most of the winter. Like many climate-specific plants, alpine plants require unique conditions to survive: those that re-create the conditions found at high altitudes where the plants are covered with frozen snow or ice for much of the year and bloom in the short, high-altitude summer. The growing season for alpine plants is extremely short. A greenhouse geared to their needs is designed to allow the plants to get very cold but to protect them from water or snow gathering on their crowns. Such a house might have a glass roof and open windows protected with screens to keep away insects and curious animals. Alpine houses often have louvered windows that allow air to circulate but keep rain and snow outside. Inside they have raised planting benches with mesh tops to allow air to circulate around the pots.